The number X is 200% of Y. The number Z increased by 200% is 50% of X. What percentage of Z is Y? I'm confused on when to use algebra to solve this and when to substitute.. Originally posted by JJ2014 on 30 Oct 2012, 15:10. Last edited by Bunuel on 30 Oct 2012, 21:24, edited 1 time in total. Renamed the topic, edited the question and moved to PS forum. Both approaches are fine. Just use whichever u r comfortable with. Start with Z as question asks in terms of Z. Let Z =100, thus, X=600 and Y=300 from question stems. Hence Y is 300% of Z. The problem states that "The number Z increased by 200% is 50% of X", doesn't this mean that 2Z=0.5X ? No. Z increased by 200% is Z + 200/100*Z = 3Z. As you mentioned in an above post that Z increased by 200% is Z + 200/100*Z = 3Z. if 3Z = Y then does it not mean that Y is 200% of Z? so the answer would be C in that case? can you please help! Thanks. This question can be solved by TESTing VALUES. We have to pay very careful attention to the exact wording used (there's a difference between "200% of....." and "increased by 200%..."). First, we're told that X is 200% of Y. Next, we're told that if Z is INCREASED BY 200%, then Z is 50% of X. 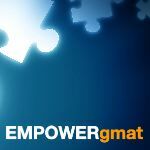 The GMAT will test you on these differences at least once, so they're important to note. Let Y = 100 . X is 200% Y . This means X = 200. 50% X = 100 . Now we have to identify 100 is what % of 33.33 . Did you have a question about this prompt (or the approach that I took to solve it?)? y is 300% of z.